Just down from the Capitol building in Boise is this unique corner on Capitol & Idaho. This corner used to be a Starbucks, then became a Tully’s Coffee, then became Caffe’ Capri Coffee and now is a Sushi joint. 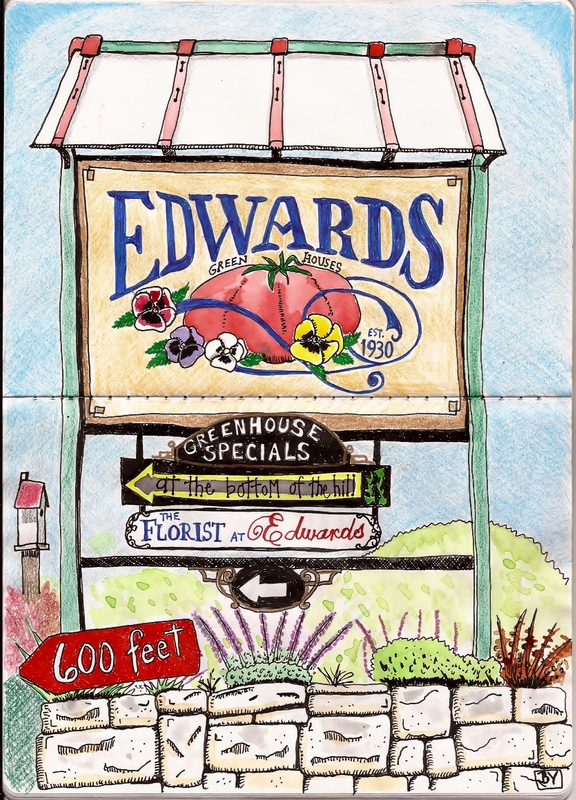 I have a history of drawing cool local sites, only to see them go out of business or become something else more “hip”. This is one of those. 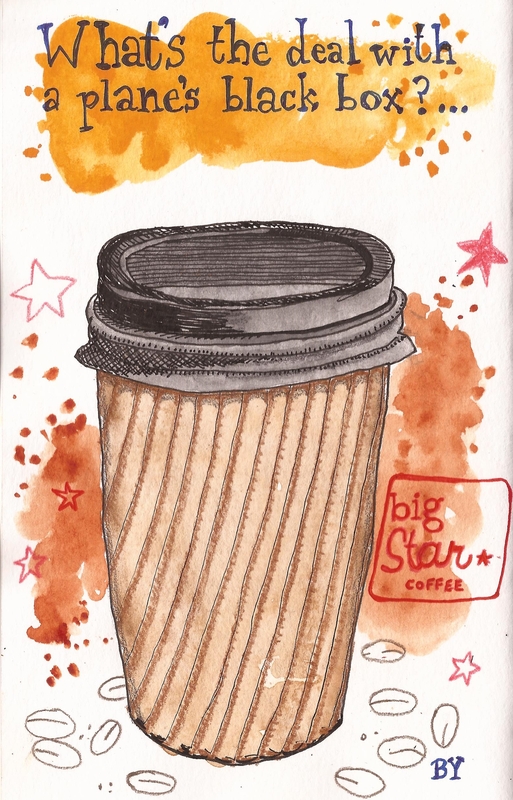 I recently picked up a hot drink at a coffee shop in our area and they have taken the coffee cup sleeve that protects your hand from getting burned and made it into the whole cup! Brilliant!! When I saw it, I laughed because it reminded me of the Jerry Seinfeld observation, “What’s the deal with a plane’s “black box?” If the black box is the only thing that survives a crash, why not build the whole plane out of black box?” Epic. Got the summer time blues? Just got dumped? Somebody less qualified yet at the same time highly arrogant just got promoted over you? Embarrassing speeches by the leader of your nation got you down? 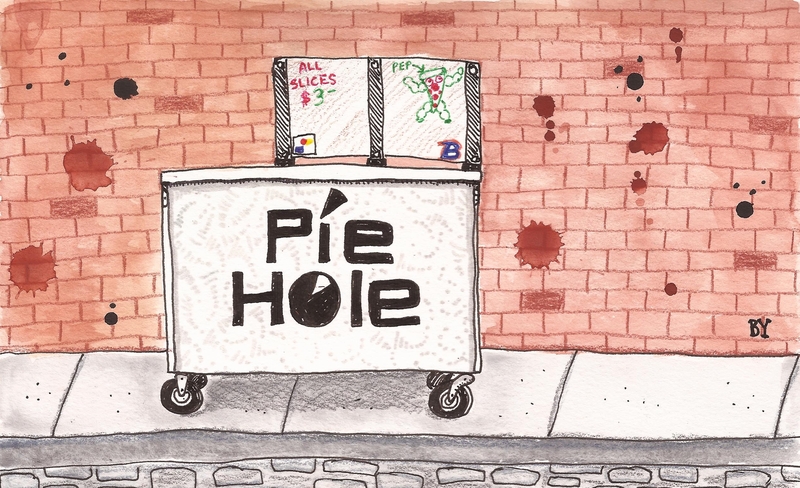 Let me introduce you to Pie Hole. Yes, it’s a dump of a place and the crust is paper thin and the grease runs down your arm but this pizza is comfort food that’ll cure whatever hurts! You KNOW these places have the best food! Just leave that little Weight Watcher’s scale–thingy at home, throw out your calorie counters and enjoy. May I recommend a trip to their bathroom for a creepy experience? They have 2 locations in Boise, downtown and over by the stadium at BSU. This is their pizza cart that you can find in downtown Boise at just about any event, all hours of the day and late night–early morning to satisfy that crave. 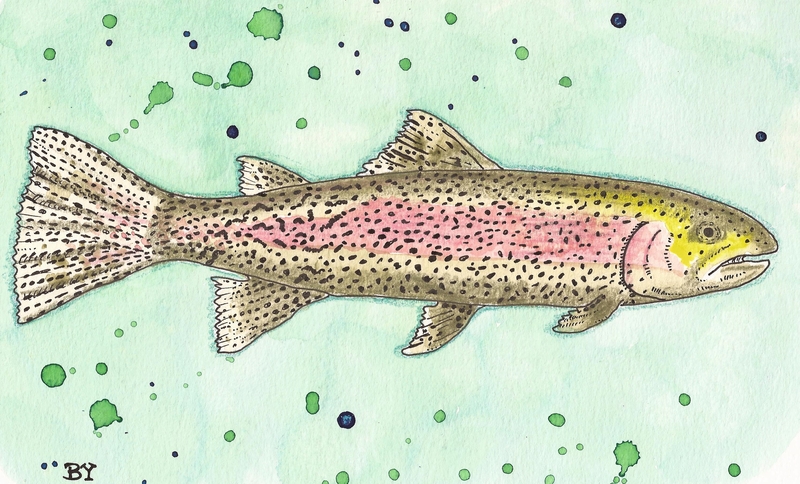 One of the items on my “bucket list” is to tie a fly and catch a trout with it. As my life is changing and the fact we live in one of the best places for fly fishing here in the great northwest, I’m really getting the itch to get in a river! As you can see, I’ve got trout on my mind. 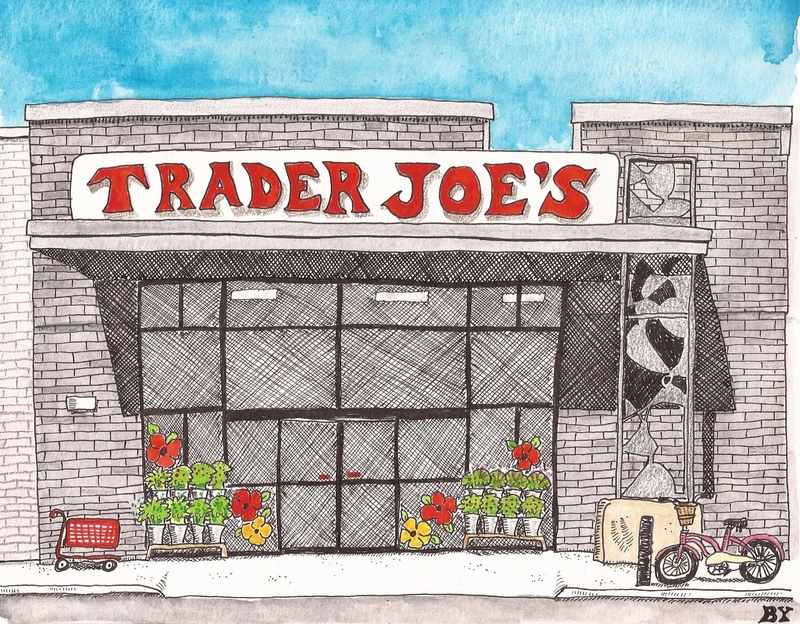 Finally, Boise has a Trader Joe’s. If you’ve never been to one, it’s a small grocery store where you can buy “unconventional and interesting” products, not your normal everyday brands you’d see at your SUPER market. In fact, you won’t find hardly any. There may be a product that stays awhile, or sometimes, when it sells out, that’s it. But it’s always fun to see what new food items are in, and to just get my staples…you know, cookie butter and Blonde Joe-Joe’s… I like just about everything there, except I’m NOT a Tofu or Tofurkey guy by any stretch of the imagination but the fresh organic veggies are about the same price as the Chemical Veggies the big guys sell. The workers all run around in Hawaiian Shirts and are friendly and very helpful. The parking,…uh…well…um,…lets just say I’m thankful we have a Trader Joe’s and my timing is bad. A fun time. Fun food. Check them out at traderjoes.com. Uhh, yep, I’m ready for Spring. Happy Valentine’s Day.